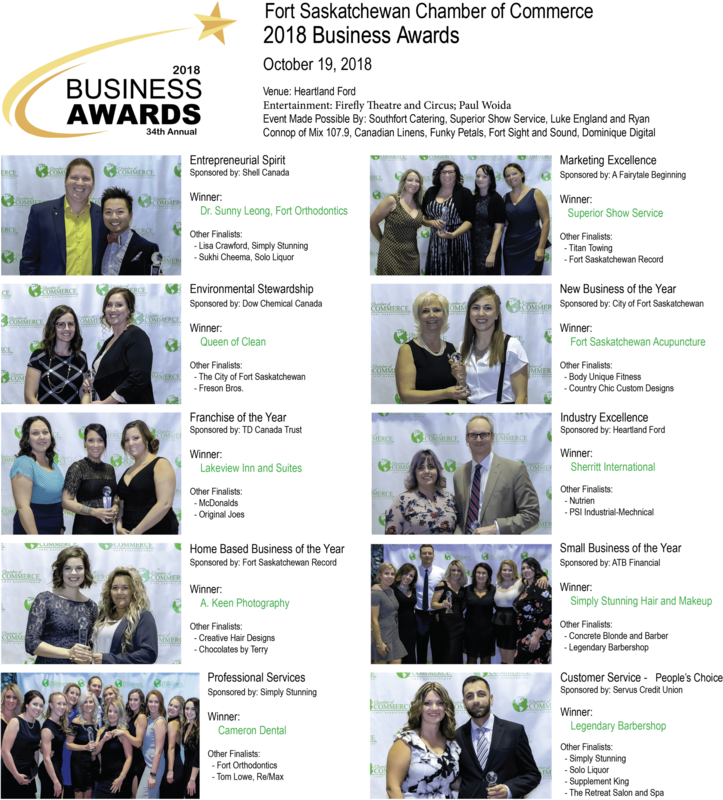 Small Business Awarded to a privately owned business (1-50 employees) that best reflects the outstanding spirit and success of the small business community, demonstrating excellence in client service, human resources, sales & marketing. Must have been operating for at least 2 years. Franchise Awarded to a Franchise that has demonstrated excellence in business operations in a number of areas such as marketing, sales, client service, human resources, etc. Industry Excellence Awarded to an Energy or Agriculture Industry leader who demonstrates outstanding leadership in Innovation, Environmental, Safety, Human Resources and Community Engagement. Peoples Choice Award for Customer Service Awarded to a business that has consistently offered exemplary customer service; often going over and above the typical expectations of their industry/sector. Home Based Awarded to a business venture, which operates from a residence, that demonstrates excellence in the quality of service and products supplied. Must have been operating for two or more years. New Business Awarded to a new, independently owned, business venture that was started within the last two years and has shown positive performance in terms of current or expected growth. Marketing Awarded to the organization that develops and implements successful marketing strategies that have a significant impact on the organization. Entrepreneurial Spirit Awarded to an entrepreneur between the ages of 18-40 who has achieved success in the start-up and operation of a new or existing business. Eligible candidates must offer a product and/or service; have served at least ten customers; have long-term goals, as well as strategies to meet those goals; and, have demonstrated innovation by adapting to market place challenges resulting in a competitive advantage. Environmental Stewardship Awarded to a small business or organization that best exemplifies environmentally sustainable operations through their normal course of business and in day-to-day operations. Examples would be: Reduce waste, reduce energy use, new technology, promotion of environmental issues within the company/organization. Professional Services Awarded to a professional services business (formally certified business or individual member of a professional body including, but not limited to: law, medical, dental, accounting, financial, insurance, real estate) who demonstrates some or all of the following: Proven business growth; commitment to continued advancement in field; outstanding business accomplishments/awards; and active involvement in community and industry.